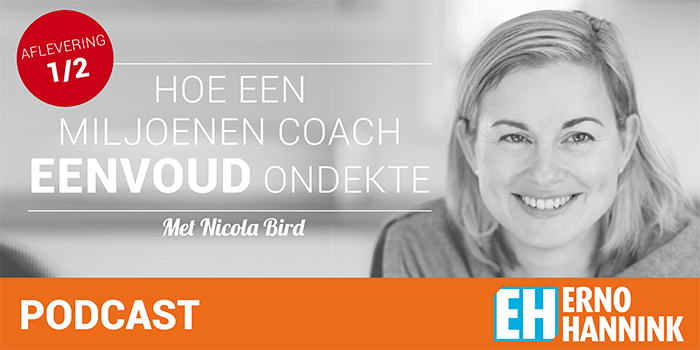 Vandaag het gesprek met Nicola Bird. Ze deelde zoveel waardevolle informatie dat ik dit gesprek heb opgedeeld in 2 delen. I am the creator of JigsawBox which is an online coaching tool for coaches, consultants and trainers that helps them packing up their expertise.It’s an e-learning, content delivering platform. I also work on the SimplicityProject.net, my own creation. This is where I am a coach and where I help entrepreneurs create a much simpler experience of running their business. By focusing on one thing only, I can now focus on other things whereas that one thing, JigsawBox now runs without my supervision. The more and more I understood how people work, the easier life and my business became.